Dr. Sarika R. Lohana is Dr. S Radhakrishnan Post-doctoral Fellow (UGC) in Humanity and Social Sciences, New Delhi. School of Commerce and Management, Swami Ramanad Teerth Marathwada University, Nanded (Maharashtra). She received her Masters of Commerce degree from SRTM University, Nanded; M.Phil. in Commerce from Alaggappa University, Karaikudi; Ph.D. from School of Commerce and Management University, Nanded and MBA in Finance from IGNOU New Delhi. 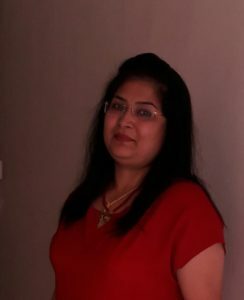 She has published papers in Indian Journal of Management Review; Global Journal of Multidisciplinary Studies and Asian Journal of Management Sciences. She is a Member of the Technical Committee on Social and Human Sciences, WASAT, (USA). She is author of book titled “Demonetization, Digital India and Governance”.Her areas of research interest include financial and marketing management, entrepreneurship, Six Sigma, Corporate Finance , neuro and behavioural finance.